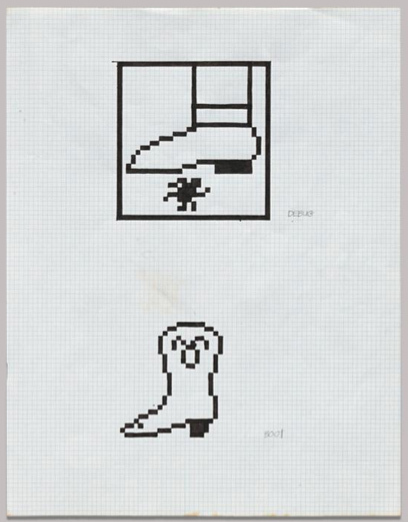 When Susan Kare sketched the icons for the first Macintosh computer back in the early 1980s, she only had basic black-and-white pixels to create a universal user language. Computer use had mostly been for the tech savvy and executed totally in text, and Apple was aiming for a device anyone could easily use on start up. Decades later, her smiling “Happy Mac” has greeted countless people as they booted up their Apples, and many of her designs are still part of computer interface, from the curly command sign to the trash can for delete. 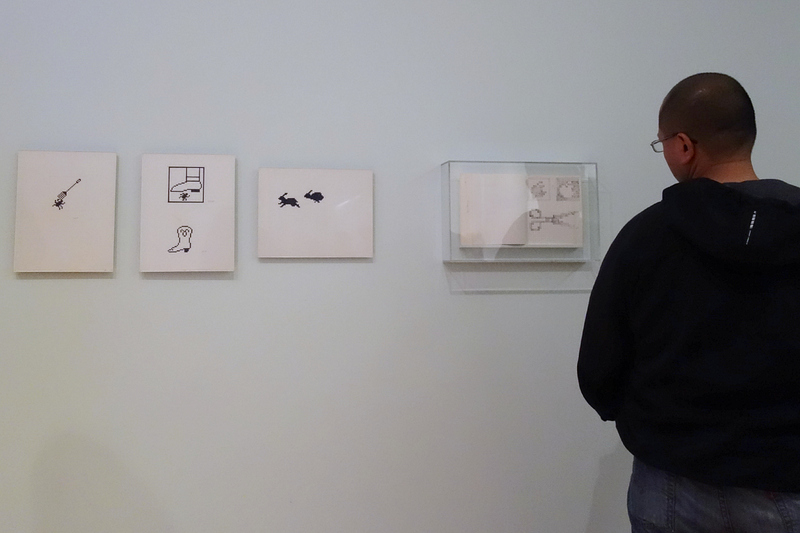 This year the Museum of Modern Art (MoMA) in New York jointly acquired Kare’s archive of these original drawings with the San Francisco Museum of Modern Art (SFMOMA), and selections are currently on view in MoMA’s This Is for Everyone: Design Experiments for the Common Good exhibition. This Is for Everyone is an exhibition about the democracy of design, and Kare’s icons are definitely for the masses in their simplicity and friendliness. 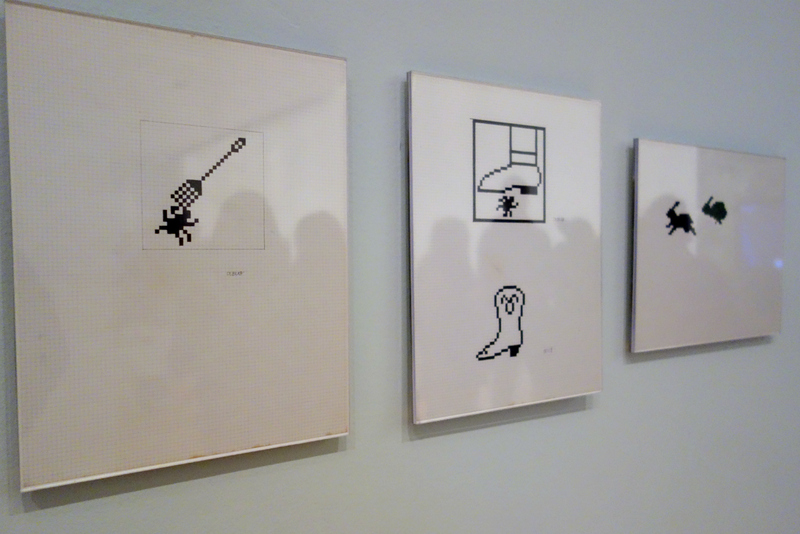 Three selections of her graph paper work for the Mac’s graphical user interface (GUI) are on view, including some sketches for “debugging” that include an image of a flyswatter and a boot to target a pixel bug, and a running rabbit once paired with a tortoise to indicate processing speed. 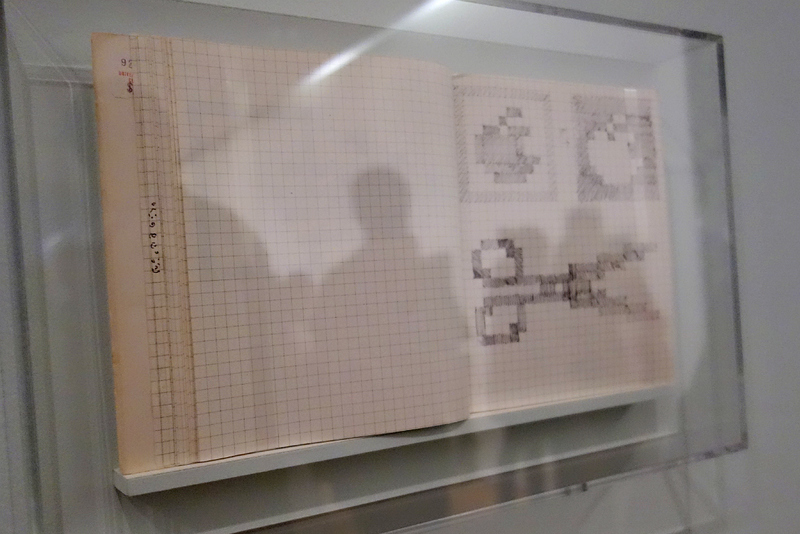 Alongside these sketches is a notebook open to a pair of scissors, shaded in below a couple of Apple logos. Taking inspiration from familiar objects, history, and art, some of her designs were direct mimics like a dipped paint brush, others were more abstract like the four-sided command icon based on a Scandinavian map’s designation of points of interest. 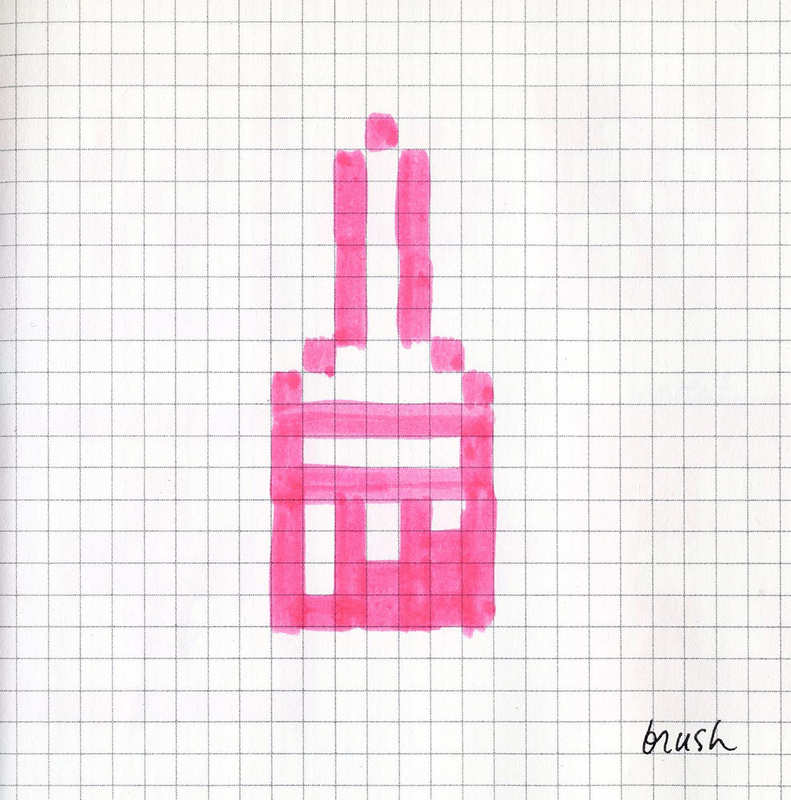 As she told the Next Web last year, she thought it essential that “symbols were based on everyday objects, when possible. For example, it seemed to me that more people had experience with a wristwatch than an hourglass.” Thus the clock became the icon of time passing on a busy Mac. Working on a limited interface, each pixel mattered, and it’s impressive how even the more abstract icons became almost invisible through their usability. 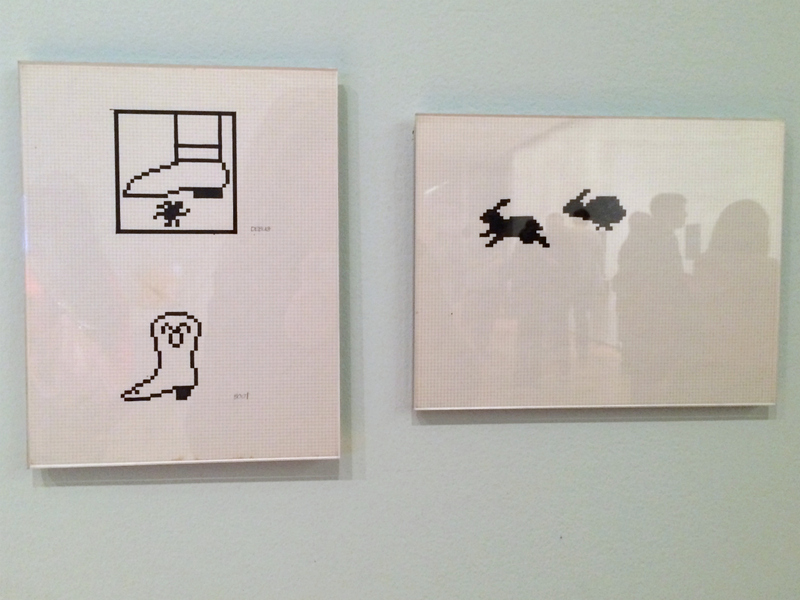 Even her more whimsical choices like the “dogcow,” originally part of her Cairo typeface and later used to show printer paper alignment, have the same language as road signs in that once you recognize them, that connection remains and you don’t forget. Kare went on to an influential career especially in pixel art and computer design, later continuing to work with Steve Jobs as Creative Director at NeXT, and even designing Microsoft solitaire and virtual gifts for Facebook. Going back to the early 1980s, there’s still a minimalist momentum in each GUI icon, giving a user-focused personality to Apple computers that would continue through to today. 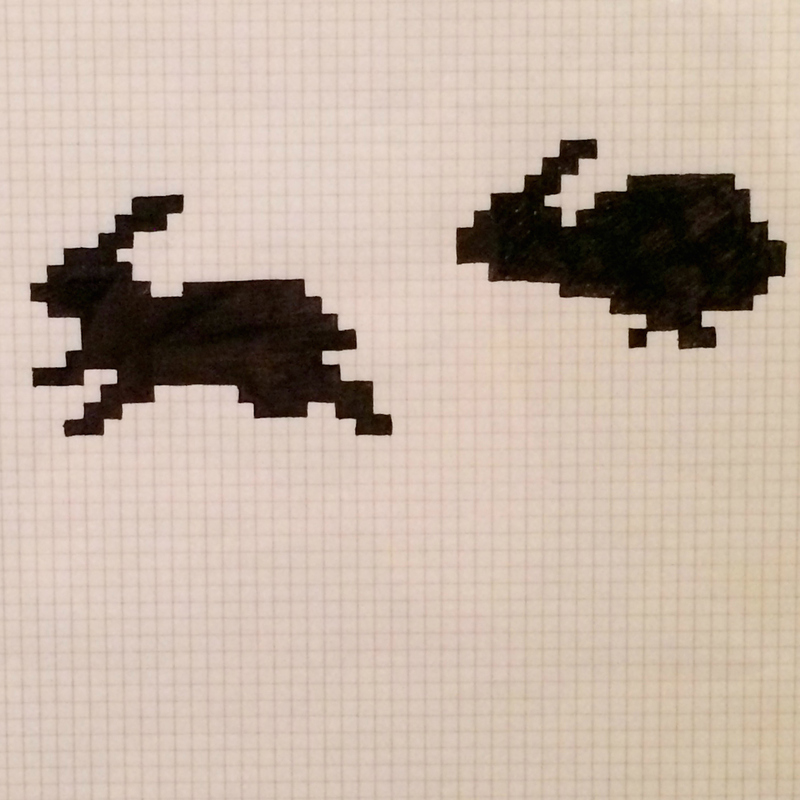 This Is for Everyone: Design Experiments for the Common Good continues at the Museum of Modern Art (11 West 53rd Street, Midtown, Manhattan) through January 31, 2016.